ARK mysteries continued: Giganotosaurus skin? 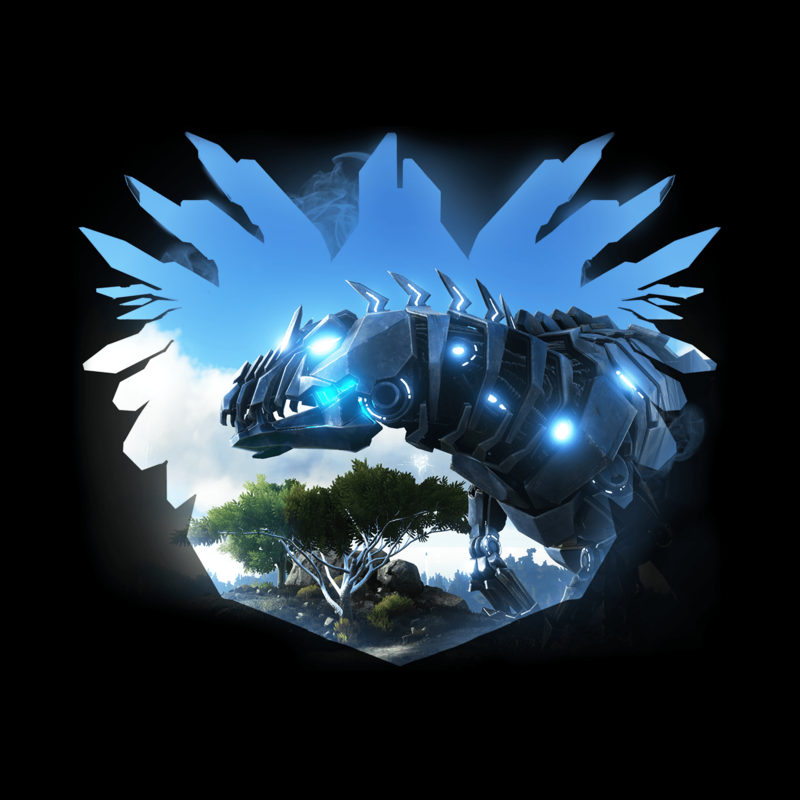 Today another ARK mystery has been revealed with the cryptic description of “GIGAntic Expectations“. From the looks of it, it seems that we will be getting another Bionic skin, but this time for the Giganotosaurus. Check out the picture below and tell us what you think of it. Hopefully this time the skin will be available to everyone and not exclusive to a single platform. Which creatures would you also like to see a bionic skin for? Sound off in the comments! The quetz the kangaroo the spino and the frog. Pteranodon and Spino. Maybe Quetz and Mosasaurus too. Cyber Argent, Cyber Raptor, seriously, just about any creature on the island would look cool metalized, what would be even better is to allow us to color the glow of the lights with dyes or something, or color the metal or whatever, I was a bit disappointed with the skeletal costumes in that we couldn’t make them black or red with dyes. Yeah I made my bionic Trex (perfectly bred lv 150 parents perfect tames) black with glowing red lights. At night time all you could see were these red outlines for my rex! The red eyes are so swag. The Sabretooth would be awesome to see with a bionic skin then you can almost form Voltron or why not since the Rex already has one get one for the Pterdon , the Stego, and the Trike then you can have the Dino bots that be awesome as well. I feel like a bionic beaver would be cool or a bionic terror bird.